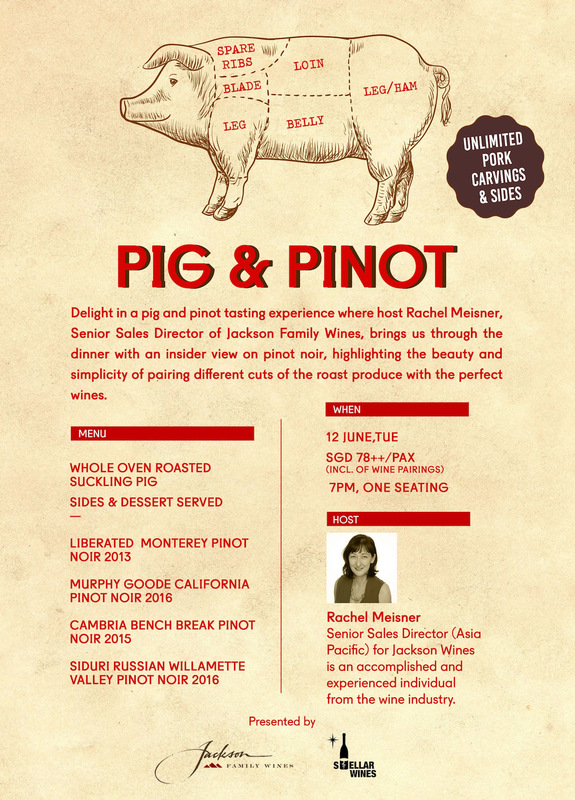 In collaboration with Stellar Wines, Wanderlust Hotel wine bar Winederlust will be hosting a special wine dinner on Tuesday 12 June 2018 at 7pm featuring a whole oven roasted suckling pig paired with a range of Pinot Noir wines from Jackson Family Wines. This wine dinner costs $78++ per person. To book a spot, email info@winederlust.com.sg or call 62981188.